performance limiting challenges clients face. 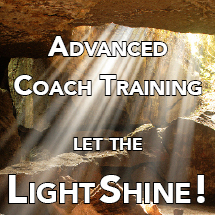 No Advanced Appreciative Coaching workshops are scheduled at this time. This 5 day program concludes the Certificate in Appreciative Coaching. 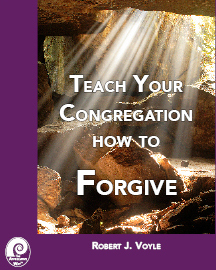 While it would be preferable to attend the Introduction to Coaching prior to taking this class clergy, therapists, and spiritual directors can take this class as an independent class. 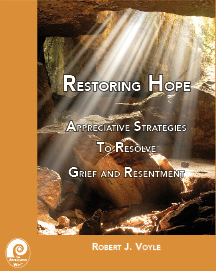 A large part of this program is based on Rob Voyle's book Restoring Hope: Appreciative Strategies to Resolve Resentment and Grief. 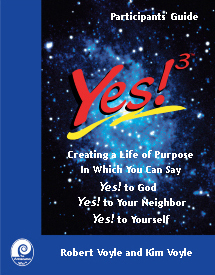 You can purchase it a the The Appreciative Way Bookstore. This program also makes extensive use of the work of Steve Andreas. Our recommended Text is Transforming Yourself: Becoming who you want to be, by Steve Andreas. Published by Real People Press in 2002. It is available from the publisher. They often have restocked books at reduced prices. Please Note: This training program is highly experiential in nature. Participants will learn the advanced coaching strategies by applying them first to themselves and then by coaching others through them. Participants must be willing to personally engage in these exercises during the training. Since coaching is about creating a preferred future and everything we think about the future is an act of pure imagination, coaching often involves helping a client to use their imagination to rehearse and create their desired outcomes. In this advanced coaching class we focus primarily on learning the techniques and strategies of imagineering or how to help clients change both the content and the structure of their experiences to develop their internal resources as they work to create their desired future. The term "Imagineering" was first used by Walt Disney in describing the work of the imagination in the creative process. It has subsequently been used by coaches to describe the techniques of using and restructuring the imagination in role rehearsal and practice exercises. There are two major aspects to the way people process, store and retrieve their experiences: the content of their experience and how they structure or represent the content. For example: when a preacher says "I can't imagine being able to preach like that," there are two things for the coach to pay attention to: "what" the person is trying to imagine (preaching in a certain way) and "how" they are actually trying to imagine preaching in a certain way. Some preachers might be relying on visual images of themselves preaching whereas others may be relying on auditory images and actually be imagining hearing them self preach. A more accurate statement of "I can't imagine being able to preach like that," would be: "I can't see myself being able to preach like that," or "I can't hear myself being able to preach like that." "I know it in my head but I need to know it in my heart!" In this example the client knows something (the content) and it is in their head (the structure) as intellectual knowledge. What they want is to restructure it as an experience in their heart. Most coaching is oriented toward modifying the content of a person's experience, yet in this example changing the content or what a person knows in their head will typically not result in a change in their desired heart felt sense of self. Just getting someone to think confident thoughts will not help a person to feel confident. In this Advanced Coaching class you will learn and practice strategies to change the structure of client's experience to create fast and sustainable change. 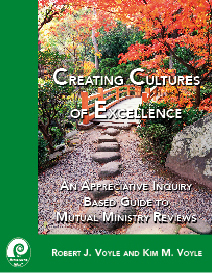 Paradoxically utilize the power of resistance to transform "stuck states:"
Use the Metaphors of Movement coaching process described by Andrew Austin to expand the coaching understanding of "next steps" and "moving forward" to include the six possible directions a person may need to "take a step:"
Psychologists, Counselors and Coaches who want to work as Executive or Life Coaches.